Time to hunt some Focus RS prey. Up until now, we’ve only seen the latest generation Honda Civic Type R overseas, specifically at Geneva last month. But unlike its predecessors, this one is due to go on sale in the US, alongside the also new Civic Si coupe and sedan. And so here it is in all of its hot hatch glory at the New York Auto Show, the 2018 Honda Civic Type R. Aside from the size of the license plate, it’s identical to the one we saw at the Swiss show, and that’s a very good thing. 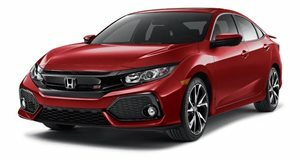 Like its upcoming Ford Focus RS and Golf R competitors, Honda decided to go with a global car this time around, instead of localized markets. Americans now want hot hatches, and Honda is happy to oblige. Power comes courtesy of a 2.0-liter turbo four with 316 hp and 295 lb-ft of twist, which is transferred to the front wheels through a six-speed manual only. Yes, this is the sole gearbox option, and it even offers rev-matching, which can be deactivated if you so choose. 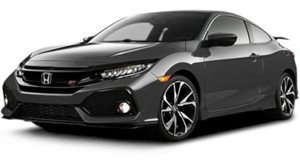 Honda told us at Geneva that it went to great lengths to engineer the car for American preferences, specifically by calibrating its driving modes, Comfort, Sport, and R+, to offer ideal road characteristics. Actually, Comfort was designed specifically with American tastes in mind. In any case, the 2018 Honda Civic Type R looks the part and judging by its 0-62 mph time of around 5.7 seconds, it’ll behave as it should. Sales are expected to get underway either later this summer or early fall, with prices to begin at just over $30,000.